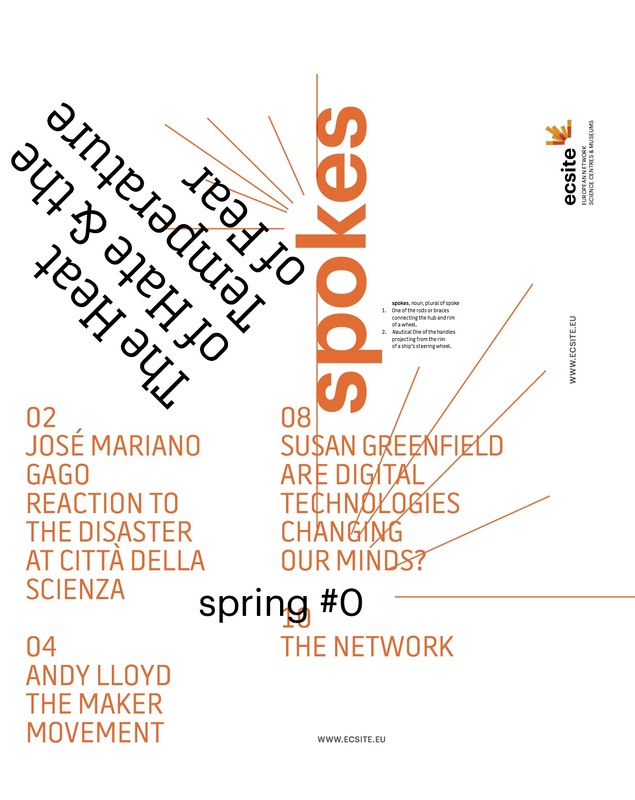 The Spokes magazine was launched at the 2013 Ecsite Conference, replacing the former Ecsite Quarterly Newsletter. Issue #0 served as a pilot and was followed by six further quarterly paper issues until April 2015, when the magazine became the monthly online publication we know today. Issue 0 featured articles by Jose Mariano Gago, Susan Greenfield and Andy Lloyd.